Swap it! 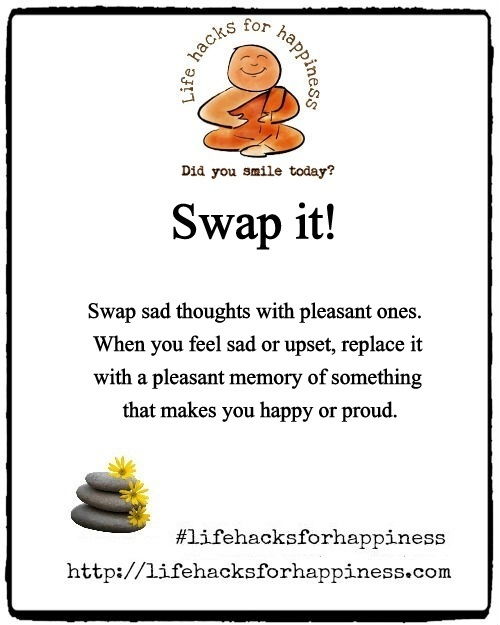 Swap sad thoughts with pleasant ones.When you feel sad or upset, replace it with a pleasant memory of something that makes you happy or proud. S is for Swap it!